Among all the technological accomplishments of the last century, none has captured our imagination more deeply than the movement of humans into outer space. From Sputnik to SpaceX, the story of that journey is told as never before in The Penguin Book of Outer Space Exploration. 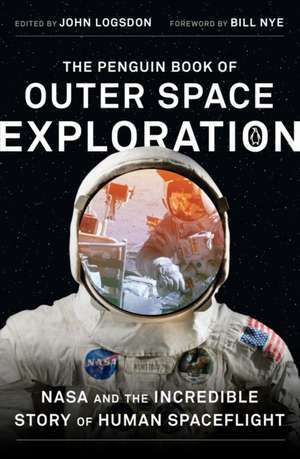 Renowned space historian John Logsdon has uncovered the most fascinating items in the NASA archive and woven them together with expert narrative guidance to create a history of how Americans got to space and what they've done there. Beginning with rocket genius Wernher von Braun's vision for voyaging to Mars and closing with Elon Musk's contemporary plan to get there, this volume traces major events like the founding of NASA, the first American astronauts in space, the moon landings, the Challenger disaster, the daring Hubble Telescope repairs and more. John Logsdon is one of America's foremost experts on space policy and history. In 1987, he founded the Space Policy Institute at George Washington University, which he directed until 2008. He is a former member of the NASA Advisory Council and he served on the Columbia Accident Investigation Board in 2003. Bill Nye is the bestselling author of Everything All at Once and the host of Netflix's Bill Nye Save the World. He is also CEO of The Planetary Society, the world's largest non-profit space organization.